Like many people who practice origami, I’ve tried lots of different types of paper, from leaflets that I’ve picked up, to copier paper, to fancy papers from craft shops. 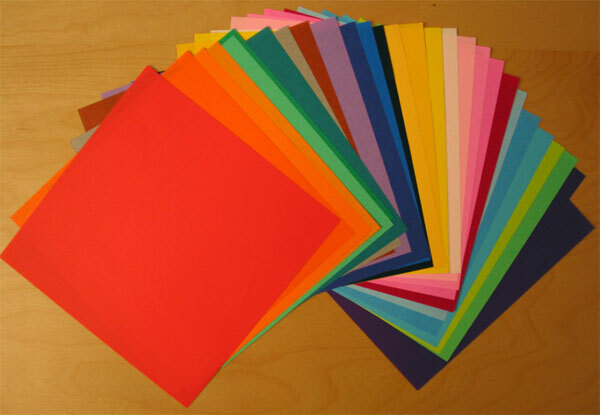 One thing I always wanted was ‘real’ origami paper, with only one side coloured. Every time I came across some in shops, it was always so costly that I didn’t want to use it in case I made a mistake. 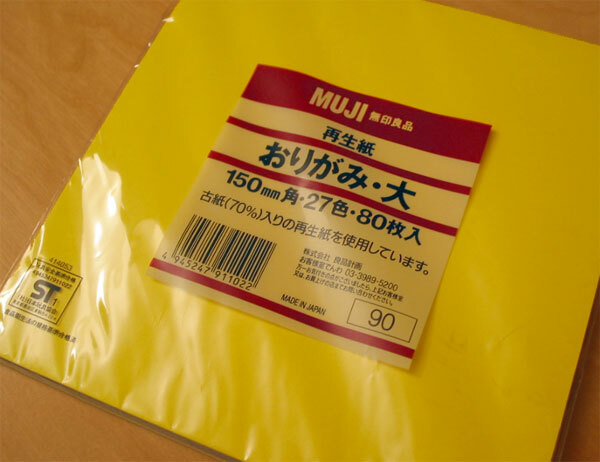 That all changed one day when I visited my local branch of Muji – they sell packs of origami paper for less than £1 each, and you get enough in each pack that you don’t need to worry about wasting it – all those modular origami models become very cheap to try out. 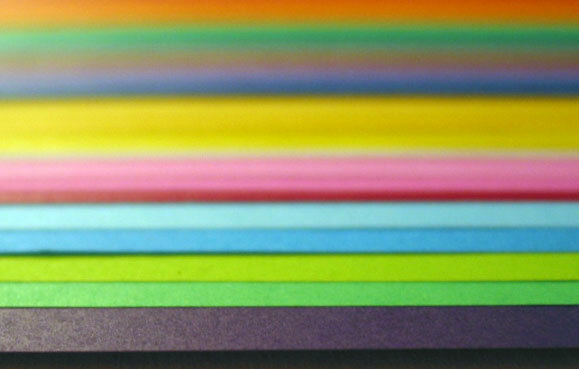 The large size is 15cm square, and you get 80 sheets in 27 different colours. One of the great features about this paper – apart from its cost – is that the sheets are perfectly square – you can fold away without having any trouble with alignment.